Why Cal Spas Swim & Fitness? Cal Spas HD Power Frame Pumps are above industry standard size of 48 frame. 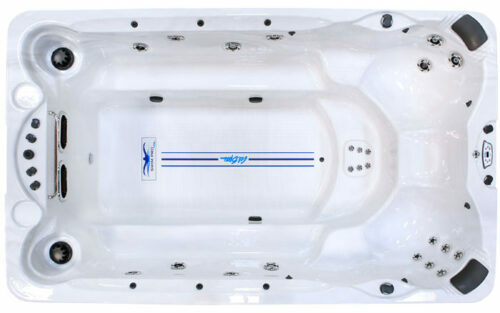 Using 56 Frame 6 HP pumps for both swim and therapy jet systems gives the user more control. In addition, using HD Power Frame in conjunction with Adjustable Therapy Systems (ATS) allows pin point precision of jet pressure, exposure and massage types. 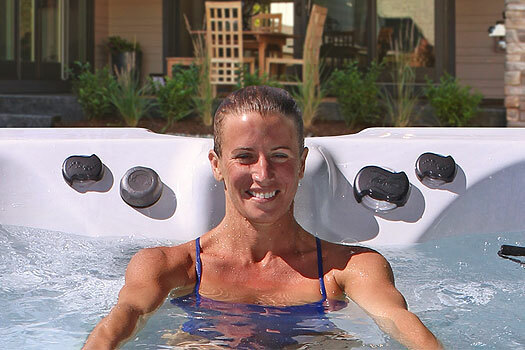 Above all else, Cal Spas Swim & Fitness Spas are an extraordinary value. 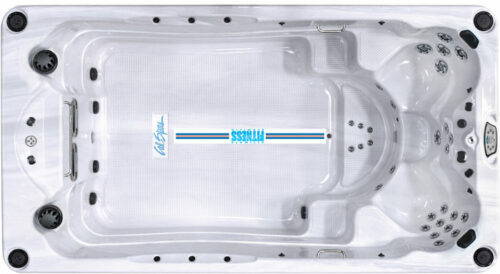 The unique layouts, premium features and comprehensive warranty are among the best in the industry. 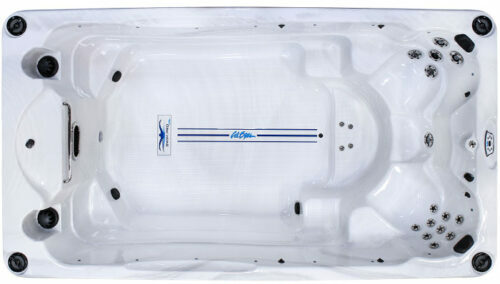 When purchasing a Cal Spas Swim Spa, you can rest assured, knowing you’re getting a great spa and a great spa. 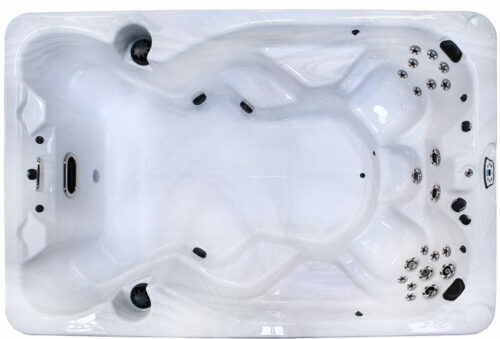 Cal Spas goes toe to toe with the industry leading warranties. 5 Year Warranty on Parts, Labor and Cabinetry. 10 Year Warranty on Shell Structure. Cal Spas Warranty is not pro-rated, there is no deductible and all warranty services are reviewed within 24 hours by the Cal Spas team.